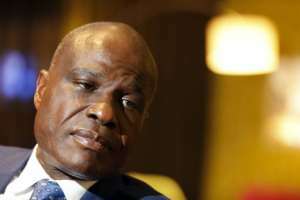 Legislative elections in eastern DR Congo that were postponed because of an Ebola epidemic in the region have resulted in victories for Martin Fayulu, runner-up in the country’s controversial presidential ballot. Legislative and presidential elections that took place on December 30 were postponed in Beni and Butembo in North Kivu province, which is battling an Ebola outbreak. Out of 14 seats which were belatedly contested, 10 went to Fayulu supporters, three to followers of former president Joseph Kabila and one to his successor, Felix Tshisekedi, according to provisional results announced by the electoral commission on Tuesday. Voting also took place for the single legislative seat in Yumbi in the central-western province of Mai-Ndombe, which had been postponed because of bloody ethnic violence. The winner was a pro-Kabila candidate. The outcome of the 15 delayed elections will have no impact on the result of the presidential election, or on the balance of power in the National Assembly, where the pro-Kabila bloc has a crushing majority. Fayulu has repeatedly said the presidential election result was a stitch-up between Tshisekedi and Kabila. He was officially credited with 34.8 percent of the vote against 38.5 percent for Tshisekedi. Fayulu maintains he picked up around 60 percent of the vote. On Wednesday, provincial assemblies will elect governors in 24 out of the country’s 26 provinces. Governorship elections in North Kivu and Mai-Ndombe will take place on May 30.